LUXEMBOURG The European Union, concerned by what it called Iran's refusal to come clean on its nuclear program, imposed a new range of sanctions Monday intended to hit the country's treasury and increase pressure on its Islamic regime. A leading European satellite provider, meanwhile, took 19 Iranian television and radio broadcasters off the air Monday  a cutoff due to earlier sanctions. 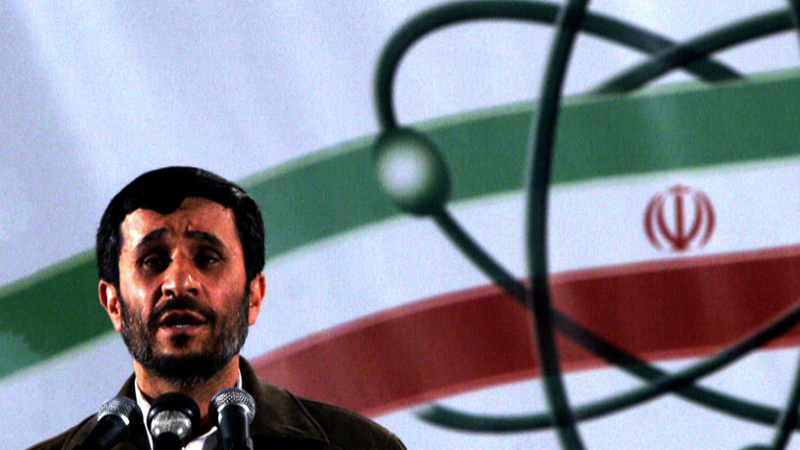 The move prompted accusations of censorship and threats to sue from Iranian state television. Maryam Rajavi, president-elect of the Iranian Resistance  a group that seeks the Iran's regime's ouster  welcomed the decision to expand sanctions as "an essential step to preclude this regime from acquiring nuclear weapons." She asked the EU to sever all economic and commercial relations with the religious fascism ruling Iran. An affiliated group, the People's Mojahedin Organization of Iran, said it had learned from people inside the country that the Iranian government was using banks' money-changing operations as well as divisions of the National Iranian Oil Company to get around the sanctions against oil exports. Earlier this month, retired U.S. Ambassador Thomas Pickering told CBS News State Department correspondent Margaret Brennan that sanctions alone won't stop Iran's nuclear program. Pickering warned against a U.S. attack on Iran's nuclear facilities without a thorough cost/benefit analysis. With time, he said, a "sensible civilian program" in Iran could be possible, but not until after Nov. 6. "No president in an election period wants to appear to be entering into diplomatic compromises, particularly if they involve taking some risks," he said. On the broadcasting cutoff, people in Iran still have access to most of the channels, which are operated by the Iranian state broadcaster Irib, but they're no longer broadcast in Europe and elsewhere. Satellite provider Eutelsat agreed with media services company Arqiva to block Irib's nine TV channels and 10 radio stations as of Monday morning because of "reinforced EU council sanctions," Eutelsat spokeswoman Vanessa O'Connor said. Irib's access to Eutelsat was via a contract with Arqiva. Irib's chief was among those targeted in a round of EU sanctions against Iran adopted in March, based on what European officials said were human rights violations in its programming. Iran's state-run Press TV said Irib could take legal action against Eutelsat over the cutoff "to compensate for any material and spiritual damages." On his way into Monday's meeting, British Foreign Secretary William Hague said new sanctions would be "a sign of our resolve in the European Union that we will step up the pressure."